Want to share your passion for natural health with others? The INSPIRE CHANGE TEAM provides opportunities for you to learn, share, teach, and mentor others so that you can earn income and build a career that revolves around sharing the gift of natural health. One of my favorite parts of what I do as a essential oils business owner is work with an amazing team of people who are committed to sharing the wondrous and empowering benefits of essential oils. I absolutely LOVE teaching about natural health care and essential oils, and I LOVE working with people to help them learn how to share, teach, and build a successful business with essential oils. My essential oils team members learn how to share essential oils with ease, teach classes, build businesses that grow, mentor those who are committed, and reach their goals with simple steps. Being an essential oils team member means you are wanting to earn some sort of income with essential oils- either a small amount to help pay for products, or a residual amount to supplement your income, or a replacement income that could result in a dramatically significant income level. The amount of income you are capable of earning depends on how much work and effort you are willing to put in. The benefit to being on my team is the support, resources and mentoring I offer to those who are committed to working with me. If you would like to learn more about the business opportunity associated with essential oils and what it would be like to work with me on my team, please contact me personally with your questions and I will help you! 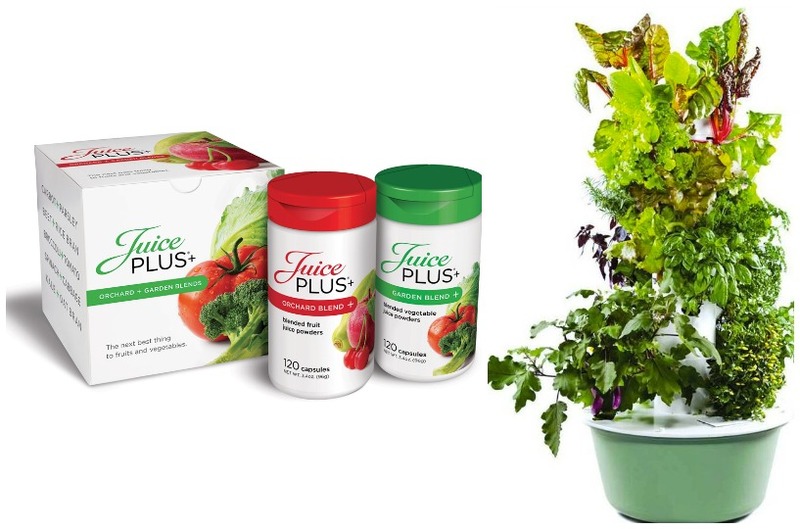 As you may know, I LOVE Juice Plus+ whole food supplements and I LOVE my Tower Garden. I also LOVE that I can earn an income while sharing my love for these products with others. I’m on the best business support team in the world- offering me advice, encouragement and fellowship…and YOU can join this team, too! Whether you want to share Juice Plus+ or the Tower Garden (or both- as most people end up doing), all you have to do is sign up as a distributor when you purchase your own products, plus a one time application fee of $50. Some people just earn enough to pay for their own family’s products, and some families work together to earn six figure incomes and live completely off of their Juice Plus+ and Tower Garden Business. No matter what you are interested in doing, as my team member I’m here to personally help you reach your goals. Please contact me if you are interested in joining my Juice Plus+ and Tower Garden team called Inspire Change! As an Inspire Change team member you not only have personal support from ME as a team member, but you have access to a world of support resources and the ability to have your own website to send people to for little to no cost (each company has different website options). If you are interested in any of these options, all you have to do is contact me! One of my favorite parts of running my team is that I can connect with passionate, like-minded people across the world! Please feel free to contact me any time with your questions and to see if working with me is a good fit for you and your family. Feel stuck in your current career. Are ready to create a business and life that you love. Want to be surrounded by other entrepreneurs who will inspire you and help you reach your goals. Desire to work from home and make your own hours. Are already in the health and wellness industry or want to break into it. You need a mentor to encourage you on your journey. That’s where I come in. I’ve done it, I know what it takes to be successful. If you work hard at a job that you love, it doesn’t feel like work. Residual income is where it’s at! Building a business that continues to grow and pay you for years to come is INCREDIBLE. Why do you like working with Network Marketing Companies? You may have noticed that the companies I work with are network marketing companies. Some people are turned off by network marketing companies for various reasons (pushy salesmen, overpriced products, etc.). These concerns are legitimate and totally understandable, but I’ve weeded out MANY such undesirable companies that have approached me, and have focused on working with companies that actually sell products I sincerely love and feel 100% comfortable sharing with others. The network marketing company model (at least the companies I work with) is ideal, too, because it gives ME the opportunity to own a business and earn money for very little initial investment. Instead of a big company paying marketing companies and corporate distributors, then exclusively working with health store owners who can create whatever prices they want and sell products based on clever marketing campaigns, network marketing companies are able to give all that money to people like YOU AND ME who will sell products because we actually use and love them and want to share with others and take the time to teach them how to use the products. I see it as a win-win situation for the company owners and the consumers. If it’s a good company to work with, then I love this business model! Are there really NO obligations to sign up for these teams? Correct- NO obligations, except the fees I’ve listed above for opening a wholesale/distributor account and keeping that status. You can always put an account on hold, too. If you are wanting to earn an income, though, you must be actively participating with your account by buying products at least for yourself. If you are inactive but someone you signed up as a distributor is working really hard at their business, then you will most likely not receive any income from their efforts. It’s not hard to “keep up your account”, though. If you are expecting to earn an income from any of these companies, I believe you must have a sincere appreciation for the products and actually use them. There are also perks like free products for keeping up monthly orders. If you have more questions about how each company works, please contact me and I’ll explain it all in more detail. What to you mean when you say I’ll receive “personal support”? When you join my team, you receive daily and weekly in-person, phone and email support from ME! I’m here to help you understand the products, the business, and working toward your personal goals. If you live close by we can meet regularly for mentoring, classes, conferences and more, which is so much fun! This is the “fellowship” side of my business that I LOVE! I would LOVE to answer your questions. Just contact me!